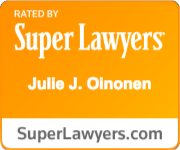 Williams Oinonen LLC represents clients who have been seriously injured due to a pharmacy error. When you find yourself injured due to a prescription drug error (misfill), you may have a malpractice claim. The Georgia pharmacy error lawyers of Williams Oinonen LLC help those injured by pharmacy malpractice obtain the justice they deserve. Errors happen when a doctor or pharmacist does not take the adequate time to meet their duty to reasonably and carefully safeguard their patients from pharmacy error, such as misfiling prescriptions. Nearly every year over a million people are seriously injured due to pharmacy errors and close to a million people actually die from such prescription drug errors. Filling the wrong prescription, filling the wrong dosage, providing the wrong instructions for taking the medication, failing to check for possible drug interactions, having a technician perform the work of a pharmacist, and failing to provide appropriate counseling are some of the possible ways that malpractice can occur. What should I do if I think I have suffered from pharmacy error? Contact an attorney as soon as possible. Keep in mind that there are specific statutes of limitation within the state of Georgia with which malpractice cases must be completed or filed by. Failure to comply with these time limits will result in a loss of the right to file a claim, thus it is important to contact a skilled attorney as soon as possible. If you have been seriously injured as the result of pharmacy error in Georgia, the attorneys at Williams Oinonen LLC can help protect your rights and help you obtain the justice you deserve. Contact us today at (404) 654-0288.